Dr Deji Oyebode is a very senior Forensic Psychiatrist who works for East London Foundation Trust, where he is a Consultant Forensic Psychiatrist as well as Responsible Officer for the Trust. He has a Diploma in Criminology, a Masters of Philosophy in Psychiatry and is Fellow of the Royal College of Psychiatrists, and is Section 12 Approved. 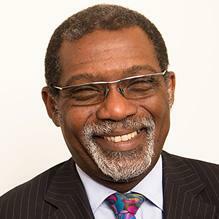 Dr Oyebode has previously been Medical Director of South West London and St Georges Mental Health Services NHS Trust and Clinical Director of Forensic Mental Health Services in the same Trust. He has been a Senior Policy Advisor for the Department of Health, as well as holding a number of posts within the Royal College of Psychiatrists and the World Health Organisation (WHO). He has been a member of the Parole Board for England and Wales and the Medical Member of several Independent review panels. Additionally he has been appointed NHS England (London) Regional Appraiser for Responsible officers, and the Department of Health Senior Medical Officers and Responsible Officers connected to the Chief Medical Officer, for their Annual Medical Appraisal and Revalidation by the General Medical Council (GMC). Dr Oyebode has also been appointed to the list of Expert Witnesses who can be instructed by the General Medical Council (UK). You don't need a GP referral to see Dr Deji Oyebode.